Yarmouth County lies on the South Western tip of Nova Scotia just off Highway 103. Made up of the Municipality of Argyle, the Municipality of Yarmouth and the Town of Yarmouth, the historic seaport of Yarmouth County is a virtual service centre offering almost any amenity or service one would require at this end of Nova Scotia. Originally inhabited by the Mi’kmaq long before the year 1604 the Yarmouth area was known as “Keespongwitk” meaning “Lands End.” With the landing of Samuel de Champlain in 1604 however, the area became known as Port Forchu meaning “Forked or Cloven Cape.” It was in 1759, in a document requesting a grant for a Township by the first English settlers, that the name Yarmouth initially appeared. This name was given to the area by New England Planters and Fisherman. Many believe that the name was transferred over from Yarmouth, Massachusetts. However, others assume that in keeping with the naming of other Nova Scotian Counties it seems reasonable that the name was in recognition of an English title personage of that time. The streets of this County are lined with large statuesque trees inducing an aura of calm within the town. The communities within the County of Yarmouth are well known for being friendly as well as beautiful, as the locals openly welcome “visitors” with a hearty hello or genuine smile. A tour throughout the County reveals intricate architecture in the numerous Victorian homes. These homes are representative of Yarmouth County’s wealth from its abundant seafaring past. The architectural beauty as well as the natural beauty of the downtown and waterfront areas can be seen up close by taking a historic walking tour of the area. Typical 19th century architecture can also be found at Acadian Historical Village. Here Acadian buildings are undergoing restoration to maintain and portray the splendor of this era. The Collins Heritage Conservation District is a marvel in itself as within a small area of only a few blocks there are several early and late 19th century homes and, although simple, these homes are extremely well built. 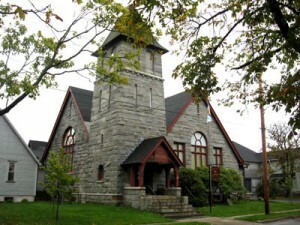 Originally a congregational church, the Yarmouth County Museum (built in 1893) leaves little to the imagination as displays, archives and other artifacts testify to this County’s rich and abundant history. Among the many fine artifacts is one of the finest ship portrait collections in all of Canada. Boasting the title of the being the only Provincial museum of its kind in Canada, the Yarmouth County Firefighters Museum is a must see. The second floor of this museum is a National Exhibit Centre and here one will find displays and exhibits from all around the world, an attraction to be enjoyed by young and old alike. 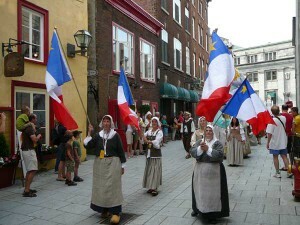 Yarmouth County is reflective of a strong Acadian and Loyalist influences. This is obvious particularly in the Municipality of Argyle, which is nestled just at the east end of the County. Many of the communities here are located along the coastline where the Acadian and Loyalist fisherman eked out a life of fishing in the Bay. As the county was historically such a large seaport, fishing and water transportation were the way of life. As a result ship wrecks were very common. In an effort to avoid these accidents, lighthouses were erected along the shore. One of these lighthouses is the Cape Forchu lighthouse. The Cape Forchu lighthouse, in addition to being a reminder of its founder, has become a major tourist attraction. 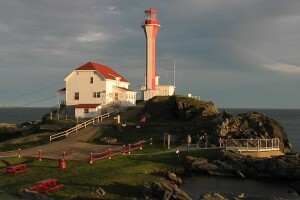 As it is located at the west entrance of the Yarmouth Harbour, thousands of tourist and visitors to Yarmouth view the lighthouse as they enter Canada from the United States, rendering the lighthouse a “Canadian/Nova Scotian symbol”. If lighthouses are the interest then a trip to Yarmouth County would not be complete without traveling the “lighthouse route” and visiting the Yarmouth light. This beacon was first lit in 1840 as a guide for mariners. Today this site provides hours of enjoyment offering the exquisite beauty of flowers and the convenience of a canteen, gift shop and information centre. Although Yarmouth County offers much for the historian it is also a haven for the outdoor enthusiast. From clam digging, kayaking and canoeing to golfing or trail walking there is plenty do to for one who fancies the outdoors. Fishing at Short Beach or Sandford Wharf is a one of a kind experience in Yarmouth County. Sandford Wharf is of particular interest as not only is it a perfect spot to fish and take pictures but it is here that one of the smallest drawbridges in the world can be found. 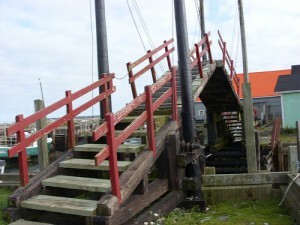 This drawbridge enables the boats to move in very close to the harbour while still allowing fishermen easy access around the harbour. The nature lover is not ignored in this county as much delight can be found in bird watching, strolling through one of the many parks, relaxing at the beaches or viewing the magnificent gardens that are designed and manicured for this very purpose. To leave this County without tasting the traditional Acadian speciality “rappie pie” or indulging in the seafood would deprive the tastebuds of a delightful experience. Serving some of the finest and freshest seafood in Canada many of the restaurants in Yarmouth use the motto “from the water to the pan.’ There are so many fine eating establishments located throughout Yarmouth County, your toughest decision will be which one to try first. Yarmouth County truly does have something for everyone. From its vast and rich historical past – generations of successful economic activity – to its astounding seaside scenery, tasty seafood, relaxing beaches, sundry outdoor activities and great shopping, a complete vacation is waiting to be had in Yarmouth County.